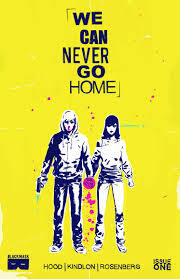 Last week Black Mask released a new title called We Can Never Go Home #1. This book sold out at diamond, We Can Never Go Home #1 Cover A has been selling for $10 to $15 on ebay, with several variant covers demanding a little bit more. Black Mask Comics first started making noticeable series with Ghost Face Killah’s Twelve Reasons to Die mini-series and with the Kickstarter published Occupy Comics #1. Another Black Mask Title came out this week that has since sold out on Diamond and seems to be trending up. 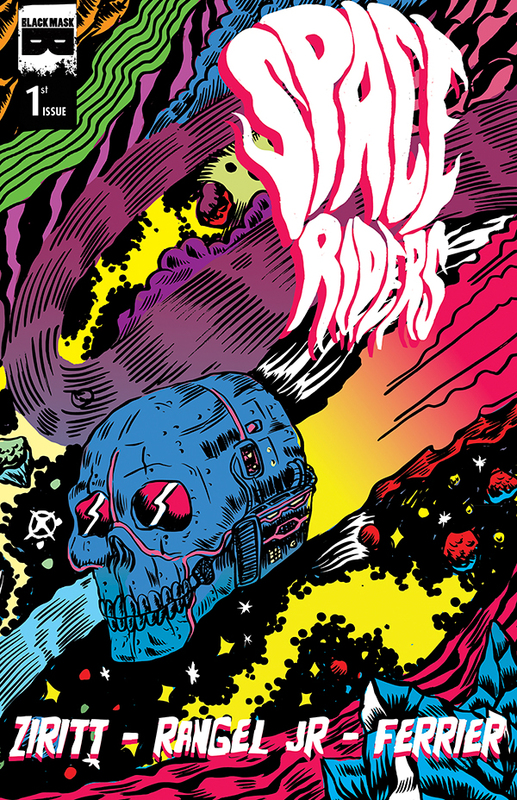 (Plus its been getting stellar reviews from websites that review comics) Space Riders #1. Right now there are two auctions on ebay at $10 with a few days to go, and all known online comic book marketplaces have sold out of copies. This book is one to look for! Right now there are limited quantities available of both We Can never Go home #1 and Space Riders #1 on the Black Mask / Ashcanpress website – all available at $3! This will not last long! Awesome. I pre-ordered Space Riders. Had a feeling about that one. 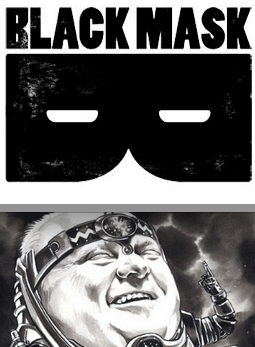 Black Mask seems to be an up and coming company that’s being severely underestimated by retailers. Also next month sees the launch of Disciples #1 from Steve Niles (30 Days Of Night Writer) that’s already been optioned for a movie, and “Young Terrorists” #1 which I’m pretty sure will get some heat from the title alone. 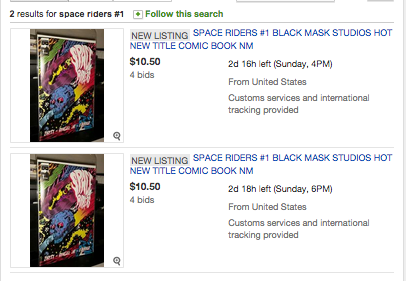 Anyone able to find the Space Riders # 1 variant ? Looks like they are sold out now.